I just thought I would share this since I think it can help people understand about pain and how EFT (Emotional Freedom Technique or tapping) can be used to deal with it. It is a natural phenomena. It is important that we are able to feel it. The body uses it to alert us to danger, for example if we fall over and hurt our leg, this lets us know to protect that area whilst it heals. Therefore in the right context, it is good. 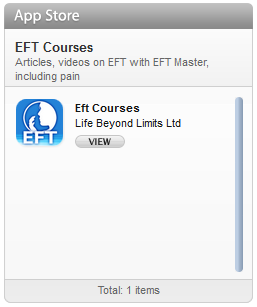 Pain however is not always good, in cases like this EFT can be a very powerful tool to help relieve pain. EFT is an energy therapy approach to healing, one which involves tapping with the fingers on different energy points located mainly on the face, hands and upper body. 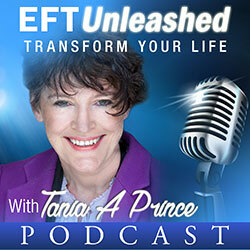 EFT is an approach that works best when you are tuned into your problem, tightly targeting it on your specific issue. 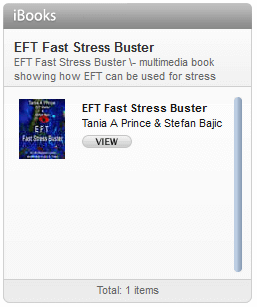 This EFT approach is great for doing that. Tony attended one of my EFT Training Courses (Practitioner Courses). At that training students are taught different approaches to deal with pain and physical problems. Tony had volunteered to be my demonstration subject for teaching the, “Chase the Pain” approach. Unusually I discussed this earlier in the training as I knew that Tony had recently had an operation that had left him with several scars, one of which was 10 inches long. This had resulted in pain and was restricting Tony’s movement of his arm. He couldn’t move his arm above his shoulder. To Tony this restriction in his movement seemed normal, after all the operation had only taken place 4 weeks before the training course. The scars were still angry red in colour and to top it all, Tony’s doctor had told him recovery would at least take three months. They had recommended that he take it easy and rest. Another exercise we do on the EFT Training (see Tony explain in his own words on YouTube) is the Movie technique. This is a dissociative approach, that allows you to work on potentially highly emotional moments in your life without having to re-experience them. Tony had certainly had a few of those, as you can imagine. Being diagnosed with cancer can create a lot of stress both mental and physical. Working with another of my trainees Tony targeted two key specific moments with the Movie technique, the first, the moment of being diagnosed with cancer, the second when the doctor informed him about the treatment would involve. It was during this conversation that Tony was told about the timescales he should expect, the pain, the restriction in movement etc. As Tony dealt with these two specific moments using the movie approach, it became apparent to him that something was different. He no longer could feel the emotional devastation that had previously been there, at the moment of his being diagnosed, also the pain and restriction in the movement of his arm and shoulder was gone. All that remained was a tight feeling. 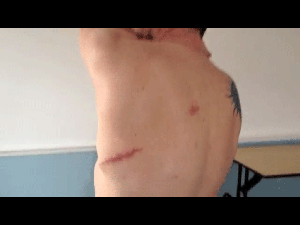 Tony thought this was normal considering his issue, the recent surgery and the redness of the scarring. To see whether it was or not we used the Chase the Pain, EFT tapping. Very rapidly the the tightness was gone. Tony was able to move his arm freely without any restriction. Also he did not feel the same about the specific events. Below is a video of Tony talking about his tapping experience. The interesting points I would like to make about Tony’s recovery from his cancer surgery are that, he cleared two specific events by tapping that occurred before he had the pain or surgery. On the surface it would seem that those events are not connected to his surgery and the subsequent pain. What is important to remember is that your beliefs have a powerful influence over your experience of life. Tony was told how long it would take for him to recover. This occurred whilst he was in a highly emotional state. When we are in a highly emotional state we are very susceptible to the power of suggestion. it is very easy for the words told to you by an authority figure such as a doctor to be accepted by your mind and body system. These are also two highly traumatic moments. Ones that can certainly create an issue for us, cancer can be a very fear inducing word. Clearing out past traumas is very important when it comes to optimizing our mind/ body system for health. P.S My Practitioner Courses are run from central Manchester, if you would like to check them out, click here. These Practitioner Courses are recognised by the AAMET.